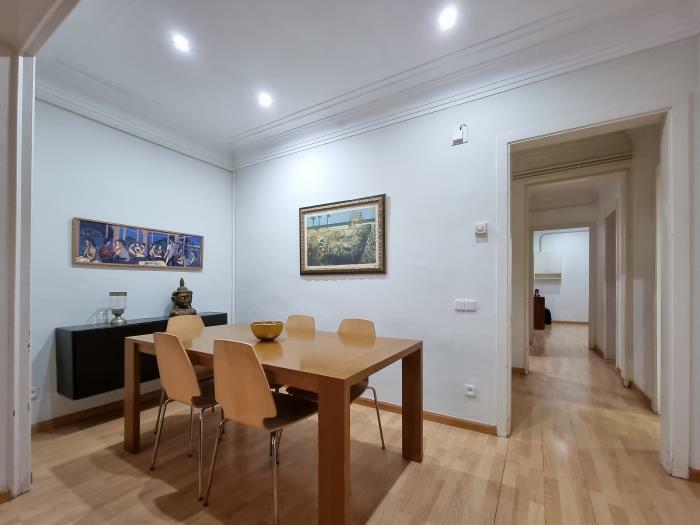 Apartamento turístico con capacidad para 8 personas en una situación inmejorable a pocos metros del mercado Sant Gervasi y a 20 minutos del Parque Güell. Dispone de 4 habitaciones (3 habitaciones dobles con camas individuales y una habitación con una litera), 2 baños, cocina independiente totalmente equipada y salón-comedor. Muy bien comunicado, tiene a 50 metros una estación del metropolitano que nos comunica en 10 minutos con el centro de la ciudad y en unos pocos más con el Tibidabo donde podrá disfrutar de las mejores vistas de Barcelona. We had a nice stay at the apartment. The check-in was flexible, which was nice since we arrived at 9am. 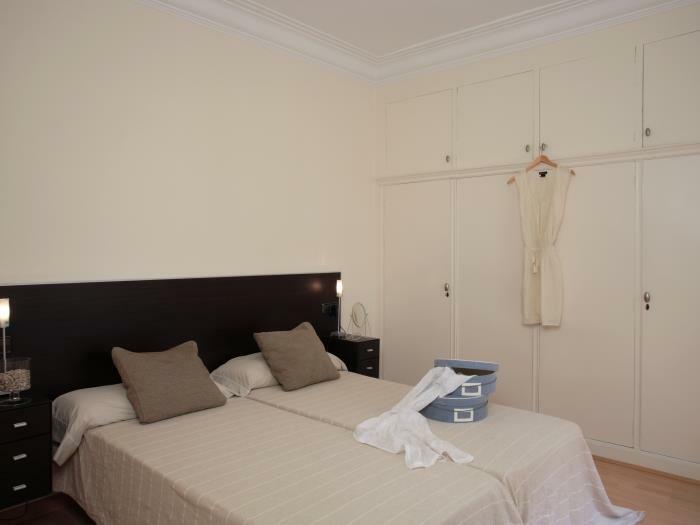 The location is good, as the apartment is just around the corner from metro station taking you to Placa de Catalunya. 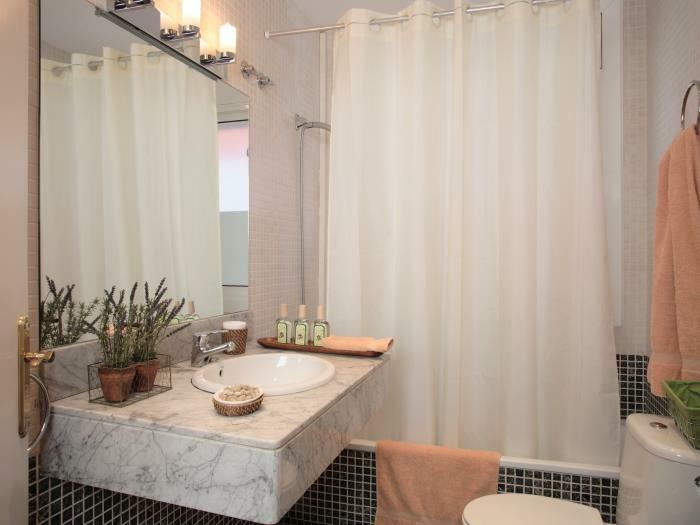 The amenities were as stated in the listing. The beds were separate. All in all, good stay, as expected when you're staying in Barcelona. 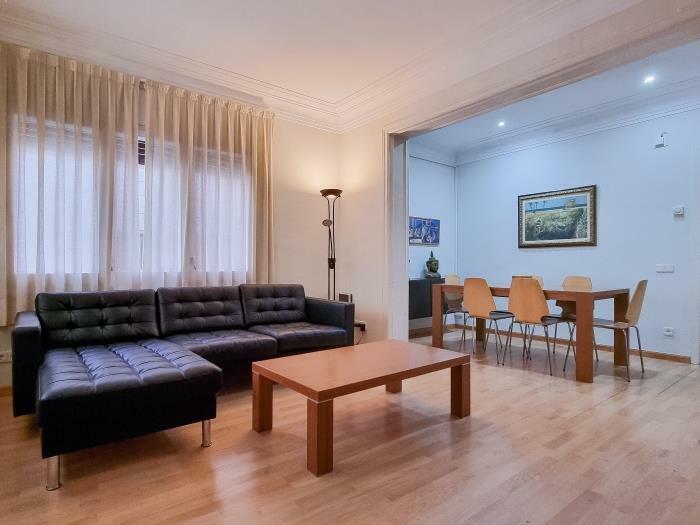 Appartement conforme à l'annonce et aux photos. A recommander. Nous avons passé un très bon séjour dans cet appartement. Il est spacieux, bien équipé, très propre, bien chauffé et bien situé par rapport au métro. Nous étions 8 adultes et il y avait suffisamment de place pour tous mais une seconde chambre équipée d’un lit double aurait été appréciée. 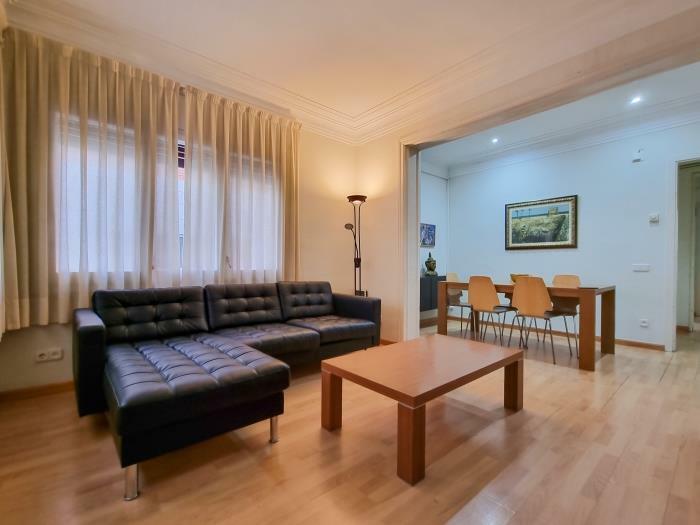 Nous recommandons cet appartement avec un très bon rapport qualité/prix et une personne qui parlait français pour nous accueillir. The apartment was really perfect, a little far from the center but easily accessible by metro. The only drawback was the noise : due to insufficient insulation, from inside you can hear everything that is going on in the street, every car passing by and everything your neighbors do. Otherwise, a really pleasant stay ! We enjoyed our stay in this apartment. The location was very convenient for our visit, being close to our son who lives in St Gervasi, Barcelona. We travelled as a large group and the apartment was more than sufficient for our needs. Communication was excellent and we were met promptly to give access to the apartment. Molto comodo e piacevole, un po' troppo rumore da fuori, essendo collocata sopra un locale, per il resto tutto comodissimo. Ottima posizione per raggiungere il tibidabo e piazza Catalunya. Posto silenzioso, fermata metro putxet a 100m scarsi. Supermercato a 200m. Very happy with the apartment I stayed in and would definitely come back! Très mauvaises literies, très bruyant, tres peu d eau chaude dans les douches, wc bouchés....bref, mauvais séjour dans votre établissement. ClassBedroom: I'm sorry for all inconvenient. We didn't receive any calling during your stay. We could have to fix everything or maybe look for other apartment. 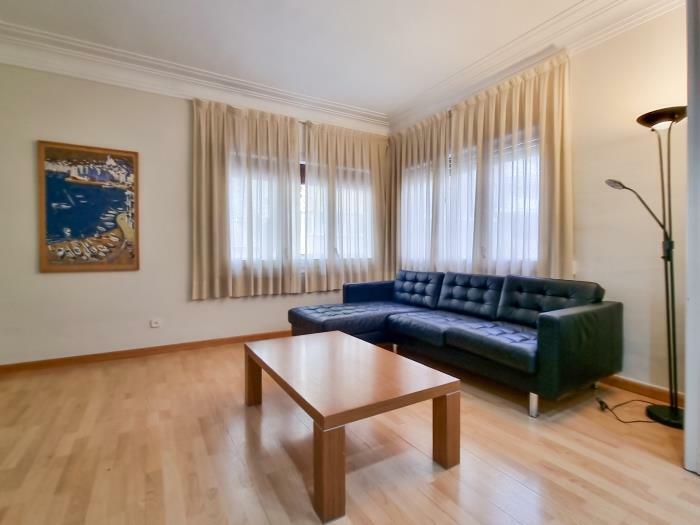 Very nice apartment, located next to metro station which makes it easy to connect to center, clean, spacious, has everything you expect. The only bad thing is, one bedroom i located over restaurant, which was very noisy at nights, not pleasant. We were late and our host was extremely patient and helpful. First class service at all points. Thanks. 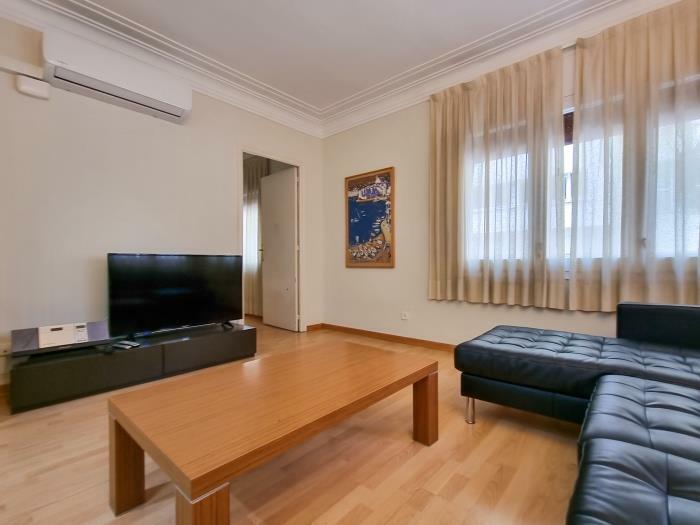 A specious apartment, perfect location nearby train/metro station, supermarket etc. Very good for a city trip! 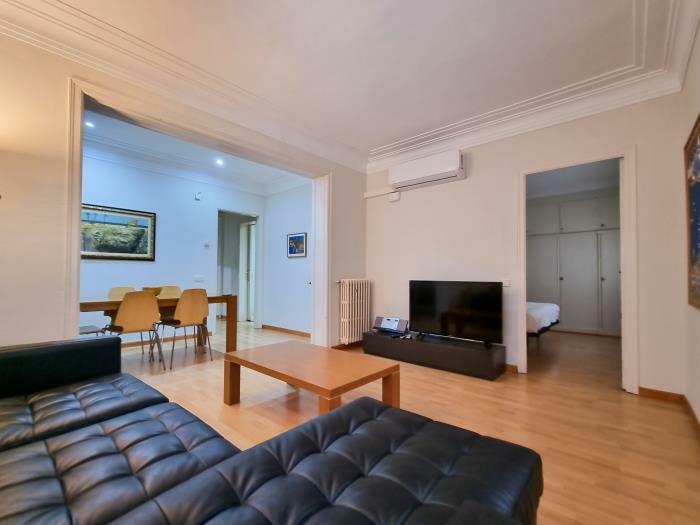 O apartamento é aquilo que é apresentado no site, bastante acolhedor e bastante confortável. Atenção é à cozinha, muitos dos utensílios para cozinhar não se encontravam nas melhores condições de limpeza, tirando isso foi tudo impecável. Soggiorno di 2 famiglie con ragazzi e bimbi - appartamento pulito - ordinato - completo di tutto il necessario - comodo da raggiungere in metro - si attraversa la strada e siamo all'entrata del Metrò - attenzione alla penale di Euro 50 se si arriva dopo le 24.00. Nel complesso voto 9 visto il rapporto qualità/prezzo. Happily we had 2 bathrooms, because we couldn't use one, there was something leaking. Not all bedlamps were working. Furthermore, everything was OK.
Great location nad nice apartment. Only thing that was missing is dish washer but we were able to manage without it just fine. Thanks once again and we hope that U find the 3rd keys. A great spacious apartment that fulfilled all our needs. Very pleassant service at checkout, extremely helpful. Its location suited us as it was close to conference but getting into town was also very easy as the metro stop was very close. Ottima posizione e vicinanza ai mezzi, quartiere tranquillo e pulito, appartamento ampio pulito e ben attrezzato...lo consigliero sicuramente!!! Grazie!!!!!!! Sehr zu empfehlen. Habe den Link auch schon an Bekannte weitergeben. PS: Ein Kanne/Krug damit man mal Saft, Kaffee usw. einfüllen könnte fehlt in der Küche. Sonst alles BESTENS. Overall it was very good. I missed some little things in the kitchen. And the beds were to small for large/ big people. thanks for the plesant stay. We had a wonderfull stay. 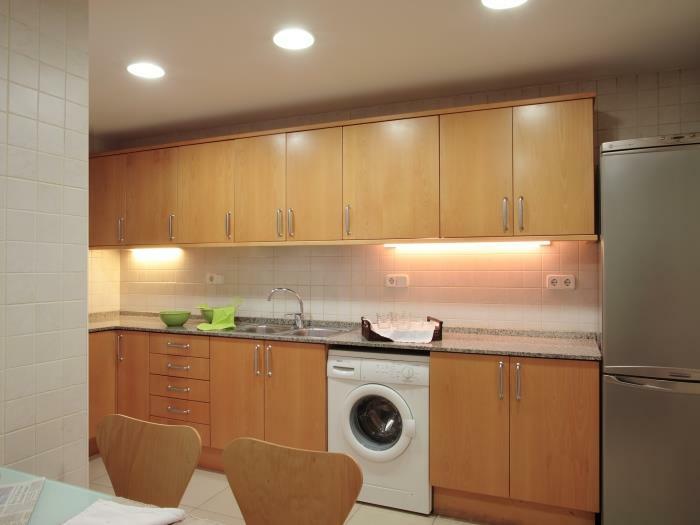 Great appartement with a complete kitchen. Appartement très bien agencé, très bien équipé et très propre. 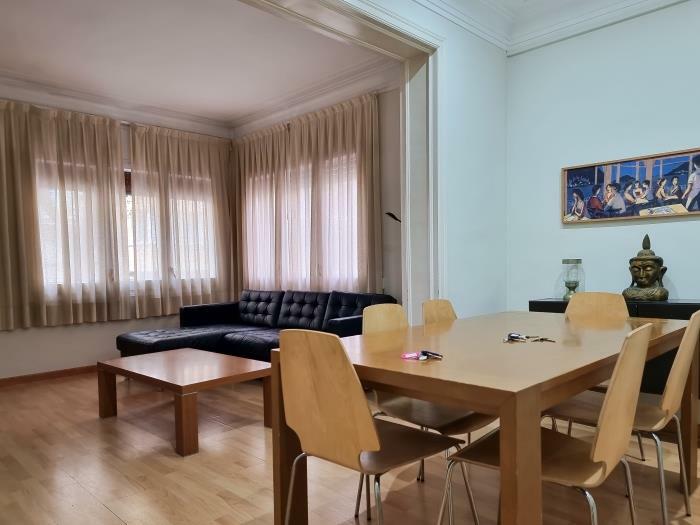 Nice appartment, very comfortable, close to a train station that takes to downton (plaza de la catalunya) in less than 10 minutes. Todo OK. Perfecto para ir con niños, ya que es un primer piso y no molestas a los de abajo; tambien porque no tiene muchos adornos que se puedan romper; buena calefacción. Merci nous referons appel a vos service lors de notre prochaine visite de Barcelone. Nice appartment for a nice price. Metro nearby, only a few stops to centrum of Barcelona.